Posted on March 17, 2018 by Teagan R. Geneviene •	This entry was posted in Atonement in Bloom, Teagan's Books and tagged Atonement in Bloom, Atonement Tennessee, Chris Graham, Fantasy, Murder at the Bijou - Three Ingredients-I, Pantser, Teagan Riordain Geneviene, Teagan's Pondering, The Story Reading Ape, Three Things Serial Story. Bookmark the permalink. A happy belated St. Patrick’s Day to you both, Teagan and Crystal! Cats are witness to all kinds of things the humans are unaware of. Lilith is an exceptional cat! Wait until you see the Lilith twist at the end of Atonement in Bloom. Welcome back Diana. I hope you had a fantastic break. I hope I can keep my self-promise to the “Bloom” out there before spring is over. Judging by the 6 inches of snow on the way, it hasn’t started yet. (Snorts.) o_O. Yes, more… I hope they’re wrong. Hope you had a great St Patricks Day!! Well deserved rest, but I can’t leave without first saying…even your snippets pull me in….my best to you!! Kirt, you are the nicest person. Thanks so much. I accomplished a little, so that helps. I appreciate you taking time to visit. Hugs! I hope you St. Paddy’s Day was touched by the luck of the Irish, young lady. It’s good to see you, Hook. I hope yours was terrific. Thanks for visiting. Hugs. Hope you had a great St. Paddy’s day, Teagan – and thanks for treating me to a glimpse of Lilith! I’m happy you got to see the tidbit from Lilith. She gets an entire chapter of her own in Bloom, as well as the type of shorter segments she got in Atonement. Congrats again on the Gemini Connection https://teagansbooks.com/2018/03/13/jazz-age-wednesdays-%E2%80%95-teri-polen-the-gemini-connection/ Hugs! Many thanks for sharing, Traci. Hugs. I Hope you had a great St Patrick’s day. We had a great day watching the Irish Rugby team win the Six Nations tournament with a big bang, so definitely a great day for them. I also tried to make my hair green but didn’t use the right programme obviously. Have a great Monday, if possible, and huge hugs! Oh, I bought a wig. But darn if that silliness didn’t turn out to be the best picture I’ve taken in many years! So now I’m trying to figure out how to turn it to red. It’s good to see you, Christoph. Wow what a fun St Patrick’s Day you had! Thanks so much for visiting. Hugs! Hey Vashti! It’s great to see you. I’m happy to hear you liked the snippet. Thanks for visiting. Hugs on the wing! Dear Janet, it’s so good to have you back (even though I look forward to seeing the artistic fruits of your vacation). You have your own hummingbird magic that always makes me feel better. Two of the things with which I struggle have doubled in the past weeks, so I will say that I’m trying at least. (One of them being different food and medicine [monthly shots] for Crystal — and that does not seem to be working out too well so far.) Maybe I should put the green wig back on! I’m glad you had fun celebrating and playing! Ha. I’d put Christmas off, Tina. It is already marketed 10 months out of the year. Thanks for visiting. Hugs! Happy St. Patrick’s Day, Teagan. Love the green hair – a great touch – and the green text. You are a very clever and original writer,too! Thanks, Noelle. I do love green. Hugs! Happy St. Patrick’s Day to you too, Teagan, although it’s a bit early. The pics are fabulous! And to all the reader’s out there, do check out Teagan’s Jazz Age Wednesdays… as well as this post. Someone else said I was early. So who knows? Where I am we celebrate it on March 17 and for me, that’s today. I appreciate you reblogging with this wonderful recommendation. Huge hugs every day. I didn’t realize that it was that time already, forgive me and happy Patty’s day…. No apologies, Melissa. I have to double check in three different places before I know when I am! 😀 Huge hugs. You’re so kind, John. Heartfelt thanks for your encouragement and support. I’m delighted you enjoyed this tidbit. Happy St. Patrick’s Day Hugs! Happy St. Patrick’s Day, Teagan! I love the excerpt. This book has been sitting on my Kindle for a while. I NEED to read it!! Hi Jan! It’s good to see you. So glad you liked this snippet. I’m so excited to know you have “Atonement, Tennessee”! This bit is actually from the upcoming sequel. But Lilith the cat is in the first book too. Since both books are in first person, Lilith narrates the parts that the heroine can’t witness. Anyway I hope you will enjoy it. Happy St. Patrick’s Day Hugs! Two fabulous pictures, Teagan, and I enjoyed the excerpt. Thanks Robbie — I had fun playing with green hair. I’m delighted you enjoyed the snippet. Happy St. Patrick’s Day Hugs! Thank you kindly, Mihran. To you as well. Happy St. Patrick’s Day Hugs! Huge thanks for reblogging, Viv. Hugs on the wing! Haha! 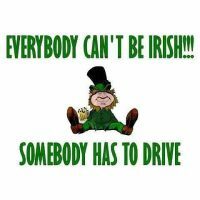 Everyone is Irish on St. Patrick’s Day! My ancestors are mostly Scottish and Cherokee (Native American), but with Scotland and Ireland so close to each other, I’m sure there’s some Irish in there somewhere. Also most of the men in my father’s family look the way I’ve heard “Black Irish” described… Who knows. Cheers, Michael! Happy St. Patrick’s Day, Teagan. Sending good vibes to help you work on your book. 🙂 Enjoyed the snippet. The green wig is awesome, Teagan. I hope you get some writing done. I’m always grateful for a wee but of Teagan’s writing on a Saturday mornin’. Have a great weekend. Tee-hee! Thanks Jennie — I love that green wig, so fun! I even wore it at work for a few hours. ☘️ I even made two people smile (that’s a lot for Mordor). A cat and a crone — what could be better??? LOL, ya know! It’s great to see you Marian. Happy St. Patrick’s Day Hugs! Happy St. Paddy’s Day to you too Teagan! Love the green hair! Beautiful writing too. Great covers as well. Next time you publish, let me know and I’ll be happy to share you on my blog. Hi there, Phil. Wow, thanks so much! It’s hard to find time, but I still hope to have Atonement in Bloom out there before summer. (I actually just now spotted something in this snippet [even though I’ve looked at it 100 times] that needed an edit…). Hugs! Hi Kim. The green wig was too fun. I’m delighted you enjoyed the snippet. Thanks for visiting. Happy St. Patrick’s Day Hugs! LOL… I actually just now edited something in the snippet! (There’s no end to editing until I finally “draw the line.”) I’m sorry about the snow. It’s in my forecast yet again for Monday or Tuesday… There was an influx of pouring fluffy white flakes yesterday, but thankfully a few degrees too warm for it to matter. Have a cool day Teagan, love the excerpt, can’t beat a good cat story 😊 and you look good in green! Thanks so much for visiting, Suzanne. I’m delighted that you liked it. Huge hugs. Many thanks for reblogging. Happy St. Patrick’s Day Hugs! What a great excerpt! I can’t wait to read the new book. And happy Saint Patrick’s Day to you too! Thanks so much, Barb. I’m tickled pink (or green) that you enjoyed it. I appreciate you visiting. Great big hug. Thank you kindly, John. To you as well. Hugs! Oh, I hope so too, Deborah. I’m sure you’ll make the most of it. If it rains, you’re so creative I know you’ll find some beautiful sparkling raindrops or reflection shots. We have snow in the forecast again for Mon and Tues… Hopefully it won’t amount to anything. Many thanks for visiting. Great big hug! Happy St. Patrick’s Day Teagan, I would love to learn more about Lilith’s “friend”. the bringer of snow. Hi Dyanna and many thanks for reblogging. Beira the Crone has a significant part in “Bloom”… I became fond of her as I wrote, even though it’s hard to decide her basic nature. Hopefully I’ll get the book out soon. Great big hug! I was going, “Oh Dear, is it St Paddy’s day?” Did I forget…….laughing.